Non-toxic cookware is essential in our household! 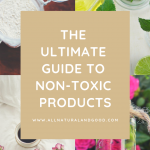 This blog is dedicated to all things natural and non-toxic. Most people think they are pretty healthy by eating organic, switching to natural products and using natural remedies. 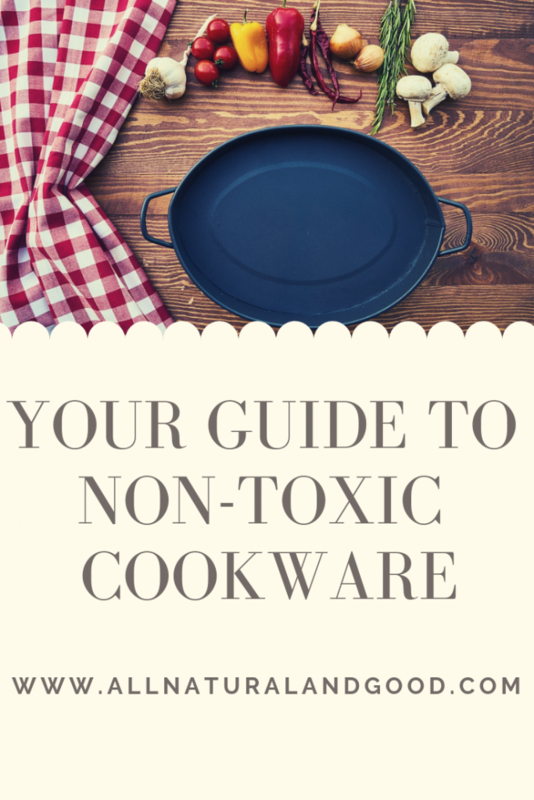 But one thing many people do not think about is how toxic their household cookware may be. Think about it…you might use 5 or more pieces of kitchenware to prepare a meal – for mixing bowls to kitchen utensils. The biggest culprit? Non-stick cookware, specifically Teflon. Non-stick cookware is not your friend. 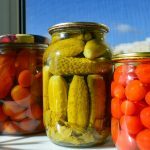 Sadly, they may contain many harmful chemicals that could be harming the health of your family every day when you cook. What good is cooking an organic and healthy meal if it is cooked in toxic cookware? Catch my drift? 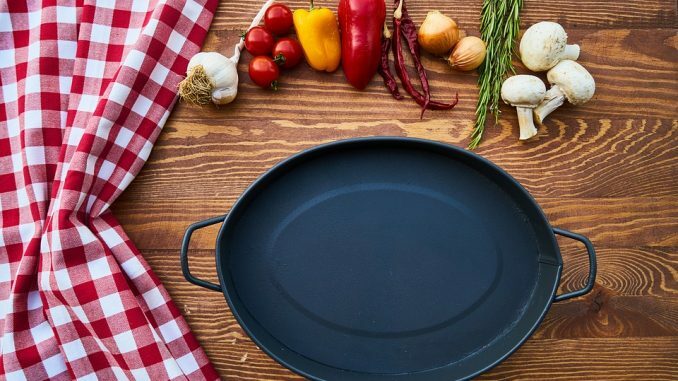 Most aluminum cookware on the market contains Teflon, a carcinogenic chemical that creates a “non-stick” coating. When heated, toxins are released and absorbed in your food. Avoiding all aluminum and non-stick cookware is the best way to start eliminating harmful cookware from your home. 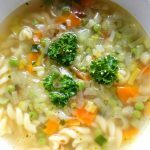 What are the healthy alternatives? 2. Cast Iron – Cast iron has been a household favorite for many many years. Again, make sure it is not coated with any non-stick chemicals. 3. Clay Pots – Cooking in clay pots has been a long-time family tradition for some cultures. There are a couple of brands that I use and highly recommend. 1. Although expensive, Le Creuset is my absolute favorite brand for cast iron cookware. It is heavy duty with many colorful options to add to your kitchen charm. Not to mention, anything from their collection will last forever! Some great starter pieces are included in this collection – Le Creuset 16-piece Cookware Set (Marine) and come in many different colors. What is great is that you can pick a color you like and add to your collection piece by piece over the years or you can tell your family and friends so that they can gift you pieces for birthdays and holidays. This is also a wedding registry favorite! 2. Another favorite of mine is a brand called Green Pan. They make awesome lightweight skillets and cookware in various sizes. I love the pieces in this set – GreenPan Rio 12pc Ceramic Non-Stick Cookware Set, Black . You may notice the words “non-stick” for this brand. 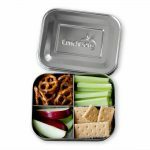 Please be aware these are made with a non-toxic non-stick material. It’s all about educating yourself on what is toxic and what is not. 3. 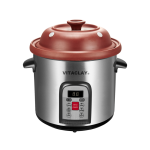 Clay Pots – I highly recommend this organic multi-cooker called VitaClay. It has many amazing functions including slow cook, quick cook/steam, fast slow cook and a yogurt maker. Check out my post about VitaClay to learn more. Use my code ALLNATURALANDGOOD10 for 10% off your VitaClay! 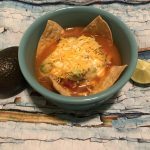 So when it comes to cooking, meal prep and eating your healthy delicious meals, think about everything that touches your food from start to finish. Think of ways you can switch to safer brands around your kitchen.